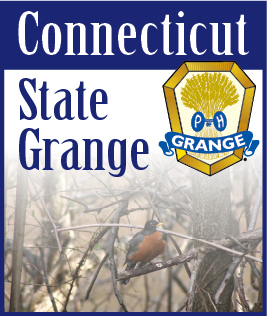 The following recipe was used during the Connecticut State Grange's participation in the CT Ag Day expo held at the Capitol on March 18, 2010. Butter and flour 2 (8-by-4-inch) loaf pans. Combine the raisins and rum in a small bowl. Set aside. Dissolve the yeast in the warm milk in a large mixing bowl. With an electric mixer, beat in the brown sugar, 1-3/4 cup of the flour and then the butter, eggs, and orange-flower water. When finished beating, mix in the remaining 1-3/4 cup of flour and beat for 3 minutes. Cover the bowl with a clean dishtowel and set it in a warm, draft-free spot until doubled in size, about 1-1/2 hours. The batter should be sticky, with the consistency of a soft, moist dough. When doubled in size, stir down the batter. Mix into it the spices and salt, followed by the zest, walnuts, and raisins with any remaining rum. Divide the batter between the two pans, smoothing it so that it is mounded on the top. Cover the pans and let the batter rest again in a warm, draft-free spot until risen to the top of the pans, about 1 additional hour. Near the end of the rising time, preheat the oven to 350°F. Pour the melted butter evenly over the dough and sprinkle it thickly with the sugar. Bake the cakes in the center of the oven. Cook for 50 to 55 minutes, until the tops are golden and a toothpick inserted in the center of each comes out clean. Cool the cakes in the pans for 10 minutes, then unmold and cool for at least 15 additional minutes. Serve warm or at room temperature. Yields 12 servings. Leftovers can be toasted and slathered with sweet butter. Our common use of vanilla extract to flavor baked goods is largely a twentieth-century development. Before then, cooks scented their dishes with lemon and perfumy distillations of orange and rose blossoms. Look for fragrant rose water and orange-flower water in large supermarkets and Middle Eastern or Asian markets. In Election Cake, orange-flower water gives a lighter, more flowery complexity than vanilla. If desired or necessary, substitute vanilla extract. Note: This is not a contest recipe.